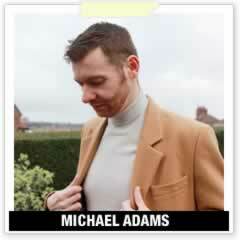 Welcome to Michael84.co.uk. Throughout this document the words “this site”, “the blog”, “us”, “we”, “our” shall represent this website, michael84.co.uk. Words such as “you”, “your” are in reference to you, the person who accesses the site. If you access this site you will be bound by the following terms, if you do not agree you must leave immediately. By using this site, you agree and are bound by all the terms below. These terms can be changed at any time without prior notice, and you should check these terms regularly. Your continued access of the blog is an acknowledgement of the acceptance of the terms. You agree to use michael84.co.uk in a lawful manner and do not use or participate in any unlawful behaviour while on the site. You do not transmit any hate, harassment or otherwise cause distress to anyone using the site. The blog, materials on the blog are provided “as is”, without any guarantees, conditions or warranties as to accuracy. While every effort is made to ensure the content is correct at time of writing, we take no responsibility for any errors, inaccuracies, performance or completeness of the content or blog. We shall not be liable for any losses or damages, including but not limited to; Loss or damage of data, loss of opportunity, business, profits or reputation. Intellectual Property – The materials within the blog are to be used for your own personal use. You may not copy, transmit, reproduce, republish, reverse-engineer, download, or make available to the public any content except for your own personal, non-commercial use. You also agree not to adapt or alter content, or create derivatives from any of the works on the blog, except for your own personal, non-commercial usage. Further information regarding image usage can be found below. By sharing or providing any content or material to the blog you are granting michael84 and it’s online channels permission to use the content in any way it wants, gratis and libre. The images on this site many of which (but not all) carry a watermark belong to Michael Adams (unless otherwise stated). Non-profit websites, blogs, news sites and publications may use images for editorial pieces providing they give credit to michael84.co.uk and include a live link back to it’s original page. They are to be used under condition that at any time, michael84.co.uk can request their removal and images should be removed within 48 hours notice. Commercial use prohibited without written permission. If you wish to licence any images you see on the blog for commercial purposes, please get in touch. All other images are for non-commercial use unless otherwise stated, sources and relevant credit has been given where possible. If there is an image which appears on this site which you own and do not want to appear, please let me know as soon as possible and i shall remove it. Comments made are the views expressed by the person writing them and are not necessarily the views of the publication. The site accepts no responsibility legal or otherwise for the accuracy or content of member comments. There may be adverts present on this website. These will be clearly marked as a “collaboration” or campaign or other relevant advertisement tag or otherwise clearly mentioned within the article copy. The blog has a large number of editorial content which is neither paid for, endorsed by or necessarily directly supported or affiliated by the company or brand which is mentioned there within.